Bite-size bits of wisdom & inspiration for writers on the go! Just do it! We can never really know what moves the needle when it comes to book sales. When a new opportunity arises, we have nothing to lose and everything to gain. For radio, no travel was involved. All I needed was a landline and time. I spent two Wednesdays on the phone doing back-to-back 15-minute interviews. (Because ANIMAL ZOMBIES has a monster hook, we scheduled the interviews around Halloween.) The publicist made all of the arrangements in advance. All I had to do was call in. An operator gave me prompts each time we were about to go on the air. Now back up a sec. Don’t have a publicist? Why not pitch your book to radio stations on your own? Here’s an article to get you started! Relax! Be yourself. Don’t feel the need to control the interview. The radio jocks have got this down. They’re helping us with promo & we’re helping them fill the airwaves. The questions will be fairly straightforward: What inspired you to write this book? Where do your ideas come from? What’s your favorite chapter/creature/character? Where can people buy your book? What’s coming next? Prepare! Write down a list of possible questions. Then pull out two or three key messages you want to relay. Write them down and keep them in front of you during the interview. If you need to cite statistics (like the fact that humans kill millions of sharks each year, while sharks kill five humans on average & not the other way around), make sure you have them ready. Make it personal! Don’t be afraid to share personal stories. Offer tidbits that the audience will connect with & will make your interview much more memorable. I shared stories about going on “swamp tromps” in the Everglades with my parents and growing up with a turtle skeleton in my closet (an artifact of my father’s days in biology lab), details that might explain my sense of wonder with the natural world. The book, the book, the book. While it’s ok to get personal, stay on message. The interview isn’t just about you, it’s about your book. So while you’re talking, always make sure to circle back to the book. Try not to veer off track. My interviews went pretty smoothly. One time I felt the need to bridge when an interviewer asked which critter in the book I would want as a pet. Instead of saying, "A pet?! Did you read the book? Would I want a lamprey, hagfish or wolf as a pet?" I simply laughed and said, “I’m not sure I’d want any of these creatures as pets, but I will say that I’ve gained a lot of respect for them because…” And we were back on track. Try not to talk about competing publishers (I made that mistake in a practice interview.) It’s ok to mention what book is coming next but try to stay focused on the current book. 10. Have fun! These opportunities don’t come around often. Chill out and enjoy your 15 minutes of fame! Listen to some of my radio interviews here, here, and here! AND FOR ALL YOU RADIO LISTENERS, WE HAVE A GIVEAWAY! How’d I do? Comment below and share this post for a chance to win a signed copy of ANIMAL ZOMBIES! (U.S. only). Drawing at the stroke of midnight on Tuesday, Dec. 11, 2018. Learn more about me at www.chanastiefel.com. Follow me @chanastiefel on FB, Twitter, and Instagram. Let's end with a little Donna Summer, "On the Radio!" Here are a few of my favorite picture books that accomplish these goals by illustrating the lives and actions of remarkable individuals who embody the spirit of advocacy. When Isatou discovers that plastic bags are polluting her village, killing goats, and giving mosquitoes a place to breed in dirty pools of water, she decides to take action. She and her friends cut the bags into strips and roll them into spools of plastic thread. Then they use the recycled thread to weave purses, which they sell. Soon Isatou has earned enough to buy a new goat. The pile of plastic bags grows smaller and the village returns to its original beauty. The takeaway: Sometimes problems seem insurmountable, but one person’s creativity and actions can make a big difference. ​The takeaway: Every child can make a difference in the world! Don’t let others hold you back, no matter what. How best to teach kids about the Civil Rights movement than through the eyes of a brave young girl, Audrey Faye Hendricks, who not only lived through painful segregation laws in Alabama but also joined the Children’s March as the youngest marcher and spent a week in jail to help change the lives of so many? Readers will relate to Audrey Faye’s determination to not only speak up but to act in body and soul. ​The takeaway: Never underestimate the voices and actions of children. I realized that I am an author/advocate too! I showed the students pages from my upcoming book ANIMAL ZOMBIES! AND OTHER BLOODSUCKING BEASTS, CREEPY CREATURES, & REAL-LIFE MONSTERS (NatGeoKids, August 28, 2018). Even books about monsters in nature can inspire advocacy. Each chapter in my book includes a scientist who studies these spooky critters and dedicates his or her life to protect creatures like wolves, bats, sharks, and all kinds of creepy crawlies. The takeaway: As children’s writers, we have the opportunity, responsibility, and power to encourage activism among children. Ask yourself what’s most important to you (if creepy creatures are your thing, write about them & encourage others to protect them as well!). Tell stories that will heighten awareness about the issues that are close to your heart and use them to raise awareness and inspire kids to take action. What are your favorite picture books that teach advocacy? How can you apply these lessons to your own writing? ​I recently attended a Disney and Pixar short films festival featuring two Pixar shorts Feast (2014), showing the culinary adventures of a Boston Terrier and Piper (2016), ​​a baby sandpiper's quest to overcome her fear of the ocean. Both character-driven movies, like all Pixar shorts, serve as excellent reminders of good storytelling, demonstrate perfect story arcs, and have instructive qualities for picture book writers. Get to the point...and quick! In the opening scenes, Pixar shorts introduce charming characters facing big challenges. 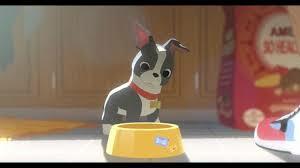 In Feast, a small Boston Terrier, Winston, searches the streets for something to eat. In Piper, the baby sandpaper approaches the ocean to find food for the first time. Both are simple introductions with big impact. They pull viewers in and have them rooting for the main character right from the start. Director of Piper, Alan Barillaro said, "You're trying to tell a story visually, as quickly as possible, something that's easy for the audience to get but also humorous and character-based." The Takeaway: Use opening lines that introduce the character, identify the problem and pull the reader in. Pixar is known for its adorable characters. In creating them, the animators rely on facial expressions, body language, and fine details to show emotions. For instance, the pacing of Winston's movements, tilting of his head and body positions portray his satisfaction with various foods. The use of personified facial expressions gives the audience a glimpse into Piper's internal experience of shock and fear when she is drenched by a huge wave. Her quick retreat, ruffled feathers, and quivering elicit empathy and a strong emotional tug. The Takeaway: Use strong verbs and to show your character's expressions, body language and emotions. Pixar animators rely on movement to tell the story. One scene quickly follows the next. Without dialogue, the audience must infer what's going on. This means that every scene must drive the story forward. There are no unnecessary details or detours--just a clear story format where the main character is faced with challenges that must be overcome to reach a goal. The end result...a beautiful story with a satisfying ending. And Pixar never fails to deliver heart-warming films, which make the audience walk away feeling touched, inspired, and looking forward to the next masterpiece! The Takeaway: Don't be afraid to cut characters or scenes that don't drive your story. Try watching more Pixar shorts with fresh eyes--as a writer on a quest to learn more about storytelling! Happy Takeaway Tuesday! We're delighted to welcome Alayne Kay Christian, creator and teacher of ART OF ARC, an online picture book writing class that addresses the elements of a traditional story arc. Back in 2015, I was a beta reader for the course and found it invaluable. Here's an inside look. ​Welcome Alayne! How did you come up with the idea for Art of Arc? After critiquing hundreds of picture book manuscripts, I saw the same issues repeatedly. As my professional critiques include mini lessons, I found myself recreating the same lessons but customizing them for each story I critiqued. There had to be an easier, more efficient way to do this. And a course was born. The reason I created a course that focuses on the classic arc is because 90% of the stories I critique are built around that structure. It is the number one structure in picture books. Describe how the class is taught. Art of Arc is a self-study course. Students work at their own pace. It includes 217 pages with ten lessons, seventeen supplements, and eighteen worksheets. Plus, bonus materials and resources. The course materials are delivered all at one time via email in PDF and MS Word formats. Students have access to a private Facebook group where they can ask questions and get support. Please give examples of picture books with good story arcs. The main plot points of the story arc usually include the exposition, ordinary world, inciting incident, rising action, climax, and falling action that slips into resolution. Ordinary World: Bernadette is a monster who is also sweet. Inciting Incident: "When it came time to go to school with the other monsters, Bernadette felt a teensy bit nervous..."
Rising Action: Bernadette tries and fails several times to fit in with the other monsters. Darkest Moment: Bernadette is left alone inside, watching monsters be monsters outside. Inner Climax: Bernadette gets an idea that might allow her to be herself and still win over the other monsters. Outer Climax: Bernadette puts the idea into action. Ordinary World: Some books don't show the ordinary world, and this is one. It jumps right into the inciting incident. Inciting Incident: A problem appears. Boy has no idea how it happened but it is there. Rising Action: Boy tries and fails several times to hide from and avoid his problem, but the problem just keeps getting bigger. Darkest Moment: The problem grows until the boy can't take it anymore. Inner Climax: The boy contemplates his problem, has a change of thinking, and comes up with a plan. Outer Climax: The boy puts his plan into action. Resolution: The boy learns something about himself and his problem. Ordinary World: Girl and dog do all kinds of things together--race, eat, relax. Girl makes things. Dog unmakes things. Inciting Incident: Girl has an idea. She will make the most MAGNIFICENT thing. Rising Action: She tries and fails to make the most magnificent thing several times. She attracts some admirers of her failures. But people don't understand. They can't see the magnificent thing she has in her mind. Darkest Moment: The girl gets mad from frustration and takes her frustration out on her attempts at the most magnificent thing until she smashes her finger and her temper EXPLODES and then she gives up. "I'm no good at this. I QUIT." Inner Climax: She takes a walk and discovers a new approach. Outer Climax: She goes back to work on the magnificent thing using her new approach. Resolution: She creates THE MOST MAGNIFICENT THING. Thank you for a wonderful interview, Alayne! Alayne is offering a 25% discount on her Art of Arc course through April 15, 2018 if you mention KidLitTakeaways. Alayne Kay Christian is the author of the Sienna, the Cowgirl Fairy chapter book series and the award-winning picture book, Butterfly Kisses for Grandma and Grandpa. She is a critique ninja for Julie Hedlund's 12 x 12. Alayne is a graduate of the Institute for Children's Literature and has spent the last ten years studying under some of the top names in children's literature. 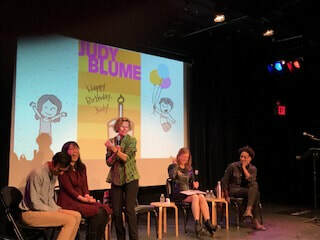 This month, I attended JudyBlumesDay, an event at Symphony Space in NYC celebrating the 80th birthday of beloved author Judy Blume. Four well-known children’s authors--Jacqueline Woodson (the new National Ambassador for Young People's Literature! ), Rachel Vail, Debbie Ridpath Ohi (who illustrated Blume’s new book covers), & Soman Chainani--held a panel discussion about the influence of Judy Blume’s 30+ books on their writing and their lives. 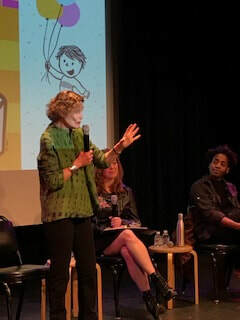 Then Judy Blume herself addressed the audience of kids and their nostalgic parents. She answered questions, such as which book is her favorite (“It’s like asking ‘who’s your favorite child? "); what inspired her to write (“It was my need. There were so many stories inside me, I had to let them out”); and her age when she started writing (“From the time I was 9 I had stories in my head, but I didn’t start writing until I was in my late 20’s. I had two babies and I was going cuckoo so writing saved me!”). 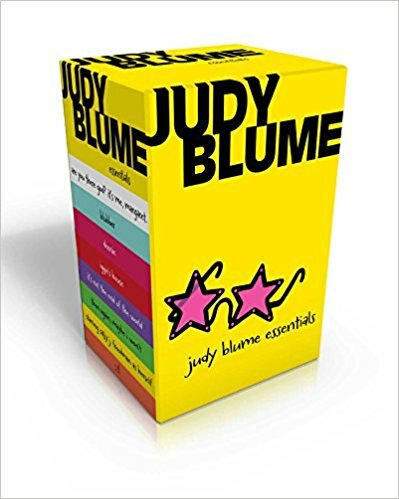 What is it about Judy Blume’s books that have struck a chord for two generations? Her books speak to real kids about real-kid problems. And the source of all that tween angst was Blume herself. Otherwise Known as Sheila the Great, she says, includes all of her childhood fears exaggerated. (At the birthday event, Broadway actress Colbie Minifie read a dramatic passage in which Sheila overcomes her fears and swims across the pool.) In Are You There God? It’s Me Margaret, Blume relates her own experiences of what it was like to be a 6th grade girl obsessed with puberty. When writing the book, she took notes on her own life and her childhood fantasies of what it would be like to be a grown up. The part about choosing a religion was fictional, though she says the book is more about finding your place and what you believe in. She calls Starring Sally J. Friedman As Herself her most autobiographical book. Blubber came from stories that her daughter in fifth grade shared about bullying at school. In her Master Class, Blume quotes Maurice Sendak saying, “I’ve never had children, but I was a child.” She advises writers to “be in touch with the child we were!” Remember the smells and all the details. “Go back into your childhood and put yourself in the classroom with your teacher. Who’s around you? What are you doing?” she asks. While writing, authors need to see and feel and react to the details around them to make their books real and relatable. Two of the biggest challenges for writers is finding time to write and sticking to a routine. Each author at the event spoke about his or her writing rituals that keep them in their chair. For example, Jackie Woodson lights a candle, wears headphones, and listens to a favorite playlist. Soman Chainani exercises before and after writing. Judy Blume famously wears a silver bracelet that reminds her that it’s time to write (although she shared with the audience that the bracelet gets really annoying and she takes it off while writing!). Kids at the event were given elastic bracelets, white paper, and a writing prompt. They had an opportunity to share their writing with the audience--and Judy Blume! Often as authors, we feel pressure to be writing all of the time. But Blume says she often takes a breather between books. “It’s not fun to write,” she says. "It’s hard work." And if the inspiration isn’t there it’s doubly hard. “Once the inspiration comes, hold on to it,” says Blume. Then write like crazy. Happy birthday Judy Blume! We wish you many more happy, healthy years of writing! Welcome back to Takeaway Tuesday! Have you ever noticed that many children's authors are ALSO teachers? With a love of kids and a passion for literacy, the two careers seem to go hand-in-hand. 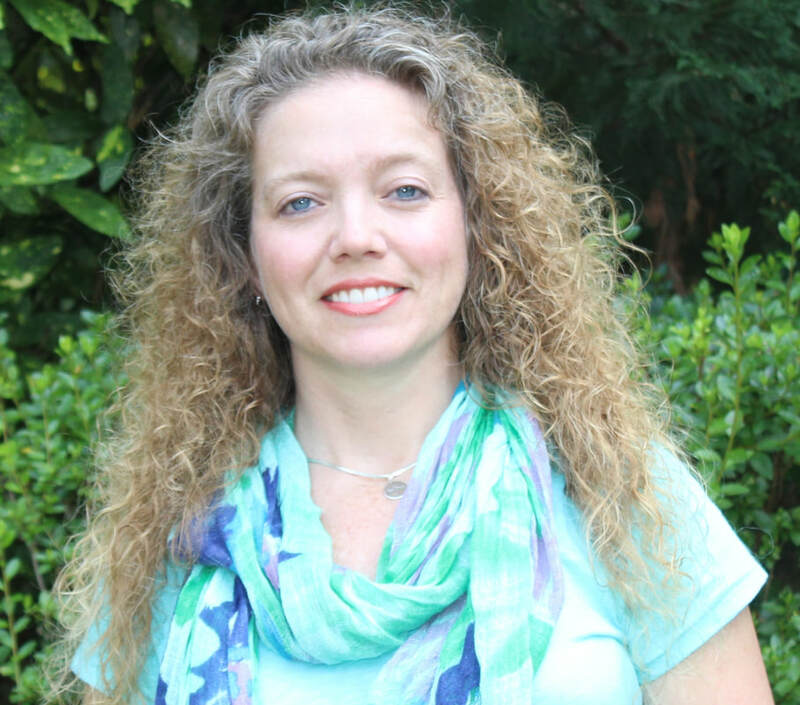 Today we're sharing an interview with teacher-author/author-teacher Ann Marie Stephens, including LOTS of takeaways about juggling two careers, finding time to write (at stoplights! ), being famous (among first graders), and much more! PLUS, Ann Marie is generously offering a giveaway of her book, CY MAKES A FRIEND. See details below! Hey, wait a minute. This is just like the chicken and the egg question, which means it’s debatable. I started playing teacher and writing stories when I was very young. I created characters out of construction paper and would hang curtains made from towels so my stories could be told on a stage, in true dramatic fashion. When I was in elementary school I decided I would become a writer one day, and a teacher, and maybe a pediatrician, while touring the country playing my flute. After narrowing down my options I ended up becoming a flute-playing teacher who writes whenever she can. I’m also a teacher who teaches her students to write. ​What grade do you teach? I teach first grade at George C. Round Elementary in Virginia. It’s exhausting yet exhilarating. I’ve always loved teaching younger kids. They are magic, and fire, and love all bundled up in little bodies. My background in teaching came from pure, natural instinct. I LOVED school. I used to beg my teachers for their old teacher’s editions or extra worksheets so I could play school at home. I taught neighborhood kids and one of my sisters. I never let anyone else be the teacher. My sister claims that’s why she became a teacher too, so she could finally have a turn to teach! I graduated from Virginia Tech with a degree in Early Childhood Education - Family and Child Development. My writing background really started in 5th grade. Mrs. Ripol asked us to write a story and I wrote an ode to my dog that had just died. I read it aloud and got choked up. Mrs. Ripol got teary-eyed and the class was silent. I could tell my words had made an impact and that was such a cool feeling. I continued to write letters and poems to my parents and friends, and as you probably predicted, I had a diary. I wrote a ton of love poems to boys I crushed on. I kept those to myself, thank goodness. How does your teaching influence your writing (and vice versa)? People always want to know if I have a constant stream of ideas because I work with kids. It doesn’t actually happen that way for me. They also think that I read all of my manuscripts to my easily accessible audience. My first year of teaching, I tried. Then I realized my students were never going to have helpful critiques for me. They loved every book I wrote. There were claps and whistles, and woo-hoos after each manuscript reading. So now we just talk a lot about the process of writing because they are writers too. They get to watch my paper manuscripts become real books! Mostly, I think working in an elementary school keeps my mind in the world of kids’ books. We read about 15 or more picture books a week. Reading makes us better writers and thanks to authors, we have a constant supply of books to read. My students are proficient writers by the end of our year together. They “publish” their own books and poems. We even keep their manuscripts in a WIP (Work in Progress) basket like real authors. The writer in me reminds the teacher in me, to let my students think outside the box. That’s where the magic happens. I encourage weird, funny, offbeat, unique, and diverse writing. My students never disappoint. How did you come up with the ideas for your books CY MAKES A FRIEND and SCUBA DOG? CY MAKES A FRIEND came from my long-time interest in Greek Mythology. As a young girl, I didn’t find myself wanting to learn more about the pretty and powerful goddesses. The evil monsters and the creepy underworld were what fascinated me. I thought it would be great to write a story about a Cyclops, but not a mean one who ate people. I wanted to create a one-eyed guy that would be so sweet he might even be irresistible. I wanted him to make a friend because that would be totally unexpected. It was also exciting to work with the theme of bravery. Putting yourself out into the world can be the hardest part about making new friends. If Cy with his one eye, swoopy bangs, and awkward tendencies can do it, anyone can. 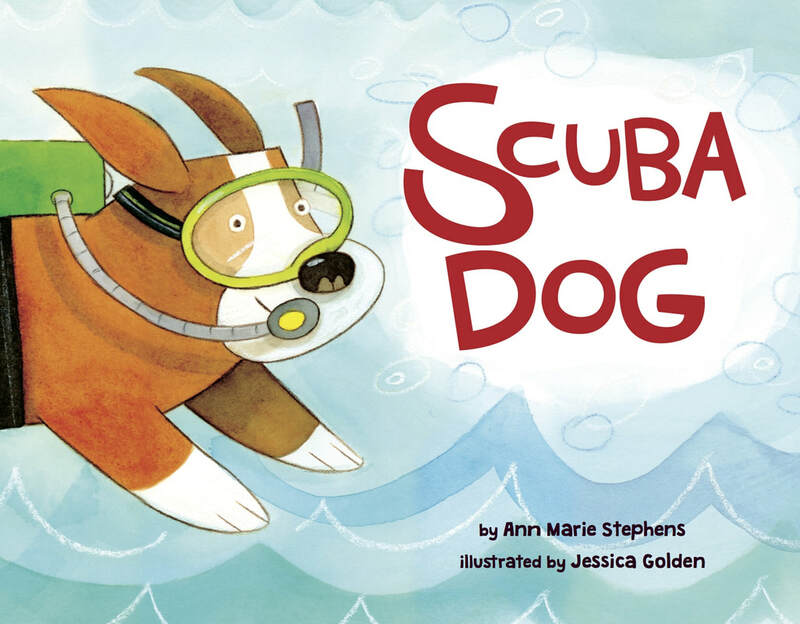 The story behind SCUBA DOG is a simple one. A long time ago I saw a cartoon picture of a dog in scuba gear. I thought to myself, “What would a dog do underwater if he could stay down there long enough?” I jotted the thought in one of my journals and didn’t revisit it until years later. As a scuba diver, I find myself extremely comfortable underwater. Much more than I am on land! When I’m down there I meet all kinds of animals. I’m curious about them; they are curious about me. We have many ways of communicating. I stare; they stare. I float; they snap their claws. I blow bubbles; they squirt ink. I even have videos of fish and sea turtles following me. I pretend they actually want to be my friend. Silly, I know. See why I write for kids? But all dives must come to an end so I never really get the chance to form friendships. SCUBA DOG was my outlet for this. Describe the submission process for your books. The submission process for my stories is way easier than it used to be. Now, when I finish a manuscript, I send it to my agent. Sometimes she asks for edits, sometimes she doesn’t like what I send, and other times she snatches up a story immediately. After she accepts a manuscript, she does the rest of the work, choosing editors and publishers just right for the story. When I started in this business back in the late 90’s it was much different, though not at first. I landed an agent right away but we weren’t a good fit so we parted. After that I had to put in the hard work researching publishers, editors, and agents. I attended SCBWI conferences (still do) and local SCBWI chapter workshops. It’s super important to understand the market before wasting your time and energy sending to the wrong people. I always had a current copy of THE CHILDREN’S WRITER’S AND ILLUSTRATOR’S MARKET book. It was dog-eared, written in, highlighted, and sticky noted to death. It was impossible to live without it. How did you find your agent? I am agented by the funny, patient, and diligent Emily Mitchell, at Wernick and Pratt Agency. I used to send my manuscripts to her, starting back in 2002, when she was an editor at Charlesbridge. Even as she rejected me she saw my potential. Over the years, she requested revisions and most importantly she kept asking to see more of my work. We even had a story that came close to a contract, but it didn’t make it past acquisitions. In 2012, she left the kid lit business and I was sad. Then in 2014, I was visiting her book blog and saw that she had reentered the publishing world as an agent. I queried her, sent her a handful of manuscripts, and she signed me. So how did I find my agent? I was persistent, positive, faithful, and did some good old-fashioned online reconnaissance. How do you manage juggling two careers? How do you find time to write? I will admit it can wear me out, but because I love both careers I keep plugging away. I think it’s the nature of both jobs. When I’m at school I must be tuned in 100%. That’s a lot of brainpower. Then when I write, I must be awake, thinking, plotting, and creating. However, above everything I do, being the best teacher to my students is most important to me. An editor can wait on a manuscript. Not being there for my students is not an option. My grade level and I work closely on the paperwork and planning. I’d be a mess without them. My principal and assistant principal are beyond supportive of my writing career which helps make the juggling possible. Weekends, vacations, and summers are prime writing time. I write in the car on my 40 minute commute each day too. I call it Stoplight Writing. Don’t worry. It’s not dangerous. 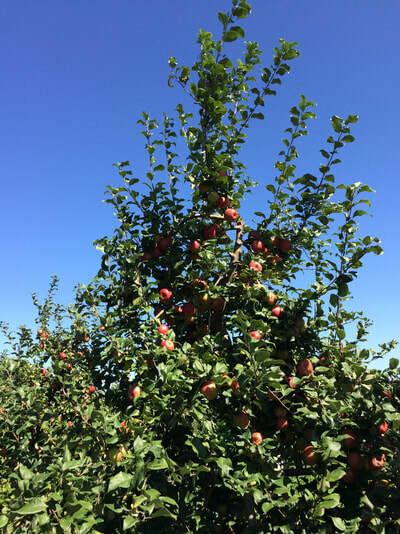 Rather than thinking about how long my commute is taking or how annoying the driver in front of me is, I think about my latest story, finding the right word, revising a line, or changing a plot point. When I get to a red light (there are some doozies on my drive) I jot my thoughts down. I recently finished a story that’s out on submission now and I wrote 90% of it in my Jeep! I used to be hard on myself because I couldn’t spend hours writing each day like my full-time author friends could. I felt less authorly because I wrote for a shorter amount of time. There was nothing I could do to change that reality aside from quitting my job so I changed my internal dialogue. If you want to write, you will find the time. Every little minute can take you closer to finishing your story. When you are a teacher-writer you definitely have insider knowledge to kid trends, their dislikes, their obsessions, and the kind of books they fight over. We read a ton of books and you better believe I’m paying attention to their reactions, which keep me aware of what works. My years of teaching experience does make it quite easy to generate ideas for my books and my friends’ books. I have activity packets for CY MAKES A FRIEND and SCUBA DOG. You can see them on my blog: http://2happyteachers.blogspot.com. Authors meet a lot of librarians. They welcome us into their libraries and we approach them whenever we can. It’s always reassuring to meet a librarian because you know without a doubt, that they love books as much as you do, and sometimes even more. How do you come up with book ideas? I am the queen of random. Like most writers I pay attention to details around me. I eavesdrop, spy, observe, explore, and allow my thoughts to go off on tangents. Any object can come to life at any moment, and animals always have the option of talking. I record all ideas no matter how embarrassing or seemingly ordinary because one day they could become a story. Unfortunately, some of my most creative ideas come around 3 a.m., which is not good when you get up at 5 a.m. for work. Still, I embrace them, yawning all the way. How do your students react to having a celebrity author as a teacher? Funny you should ask because when I’m in my classroom is the only time I feel like a celebrity! When I’m in the real world I’m just another starving artist trying to get my work out there. My students think it’s awesome that I have published books and they love that I know other authors. Some of my author friends even come visit for free which makes my class feel pretty special. They think I know the authors of every book we read. Not yet I tell them, not yet. I have upcoming books with Boyds Mills Press called ARITHMECHICKS ADD UP (2019) and ARITHMECHICKS TAKE AWAY (2020). They are books about fuzzy little chicks that like to do math. I am also doing some educational writing for a book by Kwame Alexander. Stay tuned! As usual, I have manuscripts out on submission that I’m hoping will turn into book contracts in the near future. Until then, you will find me eavesdropping on your conversations, writing at stoplights, and pretending to be the celebrity I’m not for a bunch of energetic, book-happy first graders. CONGRATULATIONS & THANK YOU for the terrific interview Ann Marie! 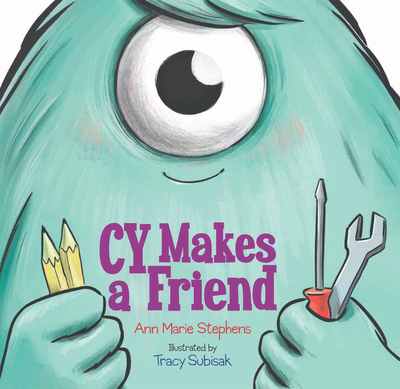 Enter the giveaway for CY MAKES A FRIEND in the Rafflecopter below! Ann Marie Stephens is the author of several picture books including Scuba Dog, Cy Makes a Friend, and forthcoming titles, Arithmechicks Add Up and Arithmechicks Take Away. She has been an elementary teacher for over 26 years. She was a contributing writer for Kwame Alexander’s Page-to-Stage Writing Workshop, a co-writer for Trait Crate Plus for grades 3 and 5, and has had dozens of original ideas published in Instructor and The Mailbox magazines. Represented by Emily Mitchell at Wernick and Pratt Agency, Ann Marie is a seasoned presenter for both children and adults. She co-blogs for teachers at http://2happyteachers.blogspot.com. When she isn’t writing or teaching, she’s off scuba diving somewhere tropical. You can find her on Facebook, Ann Marie Stephens (AMStephensAuthor), and on Instagram and Twitter @AMStephens_. Writing Lessons from the Boss! ​I recently had the opportunity to see Springsteen on Broadway, a one-man show and intimate look at the experiences that shaped Bruce's life and fueled his artistic expression. A perfect mix of heart-felt stories, humor, and musical genius. I laughed. I cried. I was so inspired! 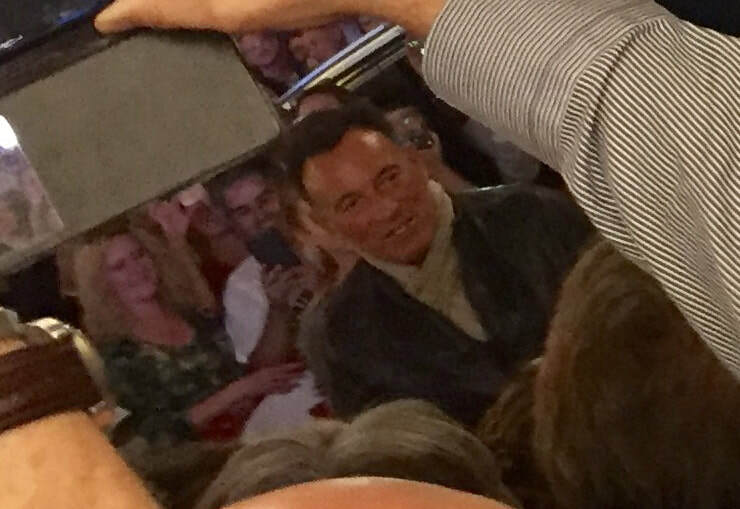 Most of the experiences Bruce shared during the performance appear in his beautiful memoir, BORN TO RUN, a story about growing up, hardship, dreams, friendship, rock-n-roll, letting go, and heart, heart, heart. Bruce also shares wonderful tips about the creative process that relate to the craft of writing picture books. "I needed to travel light and be able to blow somebody away with just my voice, my guitar and my song. Voice...guitar...song...three tools. My voice was never going to win any prizes. My guitar accompanied on acoustic was rudimentary, so that left the songs. The songs would have to be fireworks. I decided the world was filled with plenty of good guitar players, many of them my match or better, but how many good songwriters were there? Songwriters with their own voice, their own story to tell, who could draw you into a world they created and sustain your interest in the things that obsessed them. Not many, a handful at best." The Takeaway: Find your own unique style and create the story only you can write. "These were issues that had previously been relegated to the margins of American life. Dread--the sense that things might not work out, that the moral high ground had been swept out from underneath us, that the dream we had of ourselves had somehow been tainted and the future would forever be uninsured--was in the air. This was the new lay of the land, and if I was going to put my characters out on that highway, I was going to have to put all these things in the car with them." The Takeaway: Write stories with universal, relevant and relatable themes. "I started with the guitar riff. Get yourself a great riff and you're on your way. Then I'd chug along chording randomly while I'd mumble, mumble, mumble...then, tramps like us, baby we were born to run...That was all I had..."
It wasn't an easy piece to write. I started my title song that afternoon but I didn't finish it until six months of trial and tribulations, images, the road, the car, the girl...what else is there?" The Takeaway: It takes a long time to create a masterpiece, even for a rock star! "When you get the music and lyrics right, your voice disappears into the voices you've chosen to write about. Basically, with these songs, I find the characters and listen to them. That always leads to a series of questions about their behavior. What would they do? What would they never do? You need to locate the rhythm of their speech and the nature of their expression. By pulling these elements together as well as you can, you shed light on their lives and honor their experiences." "Most of my writing is emotionally autobiographical. I've learned you've got to pull up the things that mean something to you in order for them to mean anything to your audience. That's where the proof is. That's how they know you're not kidding." The Takeaway: Write about subjects that have personal meaning to you. The best stories are the ones that come from the heart. "Some of our mixes remained on the board for three, four days, a week, as we fussed, mussed and murdered one another in a vain attempt to capture all worlds. We had mixes with three-digit take numbers. We were violently frustrated and puzzled." The Takeaway; Collaborate and revise, revise, revise. "I'm glad I've been handsomely paid for my efforts but I truly would've done it for free. Because I had to. It was the only way I found momentary release and the purpose I was looking for. So for me, there weren't going to be any shortcuts." The Takeaway: Enjoy the process. Write because you love to write, not for fame or fortune. "If we didn't play together, The E Street Band would probably not know one another. We wouldn't be in a room together. But we do...we do play together and every night at eight we walk out onstage together, and that, my friends, is a place where miracles occur...old and new miracles. And those you are with in the presence of miracles, you never forget." The Takeaway: Don't go it alone. Join a critique group, go to conferences, and build friendships. Magic will happen! 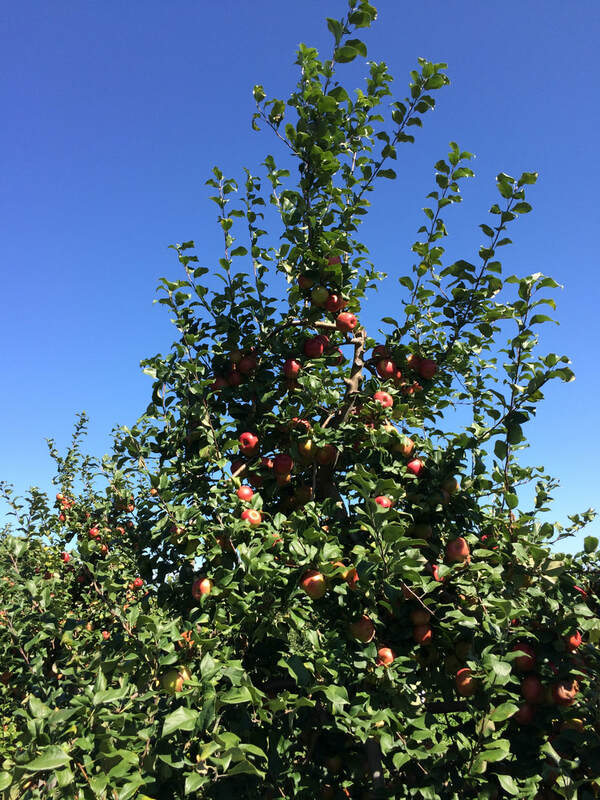 Enjoy the journey: When my husband and I drove the beautiful Road to Hana last summer on Maui, we absorbed the lesson of “The journey is the destination.” Sunni’s years of training taught her that lesson as well. For authors, every blog your read, workshop you attend, webinar you watch, writers’ group you join, & draft you write is all part of the journey. There are no short cuts. Might as well enjoy the ride and accept that there will be plenty of bumps, twists & turns, and detours along the way. Keep going! Break things into achievable pieces: At first, Sunni couldn’t swim 72 pool lengths to make a mile. (She confided that she could barely breathe after the first lap!) So she broke down her laps into manageable pieces. She swam one length, then two, then seven. “I did 1/10th!” she exclaimed. By breaking down the process, her training became more manageable. The same works for writing. If writing or editing a complete manuscript feels too overwhelming or you simply don’t have time, work on one line or one paragraph or one page a day. Some days will flow and others won’t. But keep writing and you’ll get there! Scars are really tiger stripes: Sunni’s training was physically brutal. She developed allergies to bathing caps, goggles, salt water, and finally to the sun! Her skin bears the scars of her training. But an experienced runner told her, “Those aren’t scars. You earned those stripes.” Let’s face it: Writing can be emotionally brutal. It is filled with rejection. And every rejection, no matter how experienced a writer you may be, still hurts. So let’s take on Sunni’s sunny attitude: Every rejection is a means toward a goal. Those painful letters are a cue that you are in the race and you are in it to win it. So stay the course! Kill it with a smile. Along the Ironman route, Sunni had a “Sherpa” friend who told her that no matter how much pain she was in, keep smiling! So she cheered for the police officers along the bike route and danced with the volunteers on the boardwalk. As children’s writers, we are part of a great, big, generous community. When you’re having a bad day, cheer on your friends and others who support you. Celebrate their accomplishments. Keep smiling. Your turn will come soon too! Q & A with debut author, Ariel Bernstein, plus a giveaway! Happy Takeaway Tuesday! We're so excited to welcome Ariel Bernstein! Ariel's debut picture book, I HAVE A BALLOON, illustrated by Scott Magoon, (Simon & Schuster/Paula Wiseman Books) hit the shelves September 27th and has received starred reviews! Ariel shares her backstory here--plus a chance to win a signed copy of her book! Details below! In I HAVE A BALLOON, Owl has a shiny, red balloon. Monkey does not. As the jacket copy warns, "This is NOT a book about sharing." But is IS one hilarious book about wanting what other's have. What was your writing and revision process like? I had a few notes about the story when I first thought of the idea. I sat down at the computer with them and started writing. I rewrote a number of times after reading the manuscript aloud and trying to figure out if it sounded okay. Did your illustrator notes suggest Owl and Monkey? Yes, I called the characters Owl and Monkey in the manuscript when noting who was speaking. How quickly did it sell? It took about four months after it went on submission. I actually queried my agent, Mary Cummings, with this story! I followed the instructions on her agency's website and emailed the query. Were you involved in the illustration process? I wasn't. It was up to the illustrator, Scott Magoon, the art director and our editor, Sylvie Frank. But I would have been nervous to give any input since I don't usually have a visual image of how my books should look. I'm thrilled with how the illustrations turned out! What is your favorite spread? Why? After Monkey offered Owl a teddy bear in exchange for the balloon, there's a spread where Owl says "No" and Monkey falls off the tree. It's so funny! The pictures are obviously static, but Scott Magoon's illustrations convey so much energy and humor that you can practically feel the action jump off the page. It makes me smile every time I see it! How did the sequel, WHERE IS MY BALLOON? (to be published September, 2019) come about? It was around the time of our cover reveal on the All The Wonders site when I started to think about Owl and Monkey characters again. I imagined what might happen after the end of I HAVE A BALLOON, and had a suspicion that somehow, Monkey would end up accidentally popping the balloon. The idea of how Monkey would handle the situation led to the actual story. What's you takeaway for other authors? ​I'm at my local library about once a week. I first head straight for the newly returned picture books section to see what books people have recently read. I often find a title I hadn't thought to check out and end up taking it home. It's a great way to find new books to read and see what other people are interested in! Thank you so much, Ariel! ​Ariel is generously giving away a free signed copy of I HAVE A BALLOON to one lucky reader! Enter the Rafflecopter below! Ariel Bernstein is a children's book author. Her debut picture book, I HAVE A BALLOON illustrated by Scott Magoon (Simon and Schuster/ Paula Wiseman Books) is available now. Her upcoming chapter book series, WARREN AND DRAGON, illustrated by Mike Malbrough (Viking Children's) will be released Summer 2018. You can find more about Ariel at http://www.arielbernsteinbooks.com, and on Twitter and Instagram at @ArielBBooks. Picture Book Picks for Fall! Sam is scared of anything and everything, except Leonardo the monster. Kerry is afraid of anything and everything, except Frankenthaler, the other monster. When Sam and Kerry discover each other, a frightfully funny adventure unfolds! Why I love this book: This story is filled with fun, surprises, and a satisfying ending. The words are few and every one contributes to making this a humorous, page-turning story. Mo uses a unique story to address a universal theme. The characters are adorable and relatable. The illustrations are hysterical. And the story has a heart-felt message--there's a friend for everyone! Creating stories about characters with exaggerated problems or personalities infuses humor, engages readers and makes their struggle relatable. It also allows the writer to send a message in a fun, light-hearted way. Prince, a prim goldfish, ruled a small round kingdom, admiring his majestic castle and riding his regal carriage. "Simply squiddy!" Pirate, a rowdy sort of fish, ruled a small round sea, sailing a schooner and guarding his treasure chest. "Yo, ho ho!" But when Prince and Pirate are scooped out of their domains and plopped into shared waters (a large fish tank) rough seas lie ahead. That is, until a little surprise in the form of an adorable dogfish helps them find a way to get along. Why I love this book: This story is filled with prince-like lexicon and piratey expressions, which gives the characters big personalities and makes it fun to read aloud. The writing and illustrations are lively and the fish tank setting makes the story unique. It's humorous, charming, and has a timely messages--to share and respect differences. Give characters big personalities by using lexicon and fun dialogue. Find unique settings to address universal themes. Add conflict, humor, and layers by making characters different from one another or by placing them in unique situations (or both). In this adorable new counting book, readers count all kinds of rescue dogs: “1 dog long and low, 2 dogs, silver and slow…” The puppy fun builds until… “10 dogs, slobbering hounds, Wait, dogs, a little longer...Soon, dogs, you’ll be found!” A long line forms outside the City Shelter with a sign that reads: Adoptions today. The joy continues as readers count down from 10 as each dog is lovingly adopted. Rhyming books are often a hard sell, but Sirotich’s bouncy meter and fun rhymes keep you turning pages. If you’re thinking of writing a counting book, make sure it has layers. FOUND DOGS is much more than a counting book because of its loving message about animal rescue. Whobert Hoover always tries to keep his neck of the woods safe. Then he discovers Perry the possum lying awfully still. Whobert chases down witnesses, each one passing the blame. “Not guilty. You see it was…” Who, Who, Whodunnit? Why we love this book: Jason Gallaher had me laughing at the title and the giggles never stopped. Jess Pauwels’ hilarious illustrations add even more character to Whobert and his forest friends. (The bulging eyeballs alone give off every expression from surprise to accusation to eye-rolling embarrassment to...death!) Readers will have a blast trying to sort out this wacky mystery. Mystery & suspense are the keys to a great page turner. Kids will love following the clues and coming to their own conclusions. End with a twist! See if YOU can predict Whodunnit! 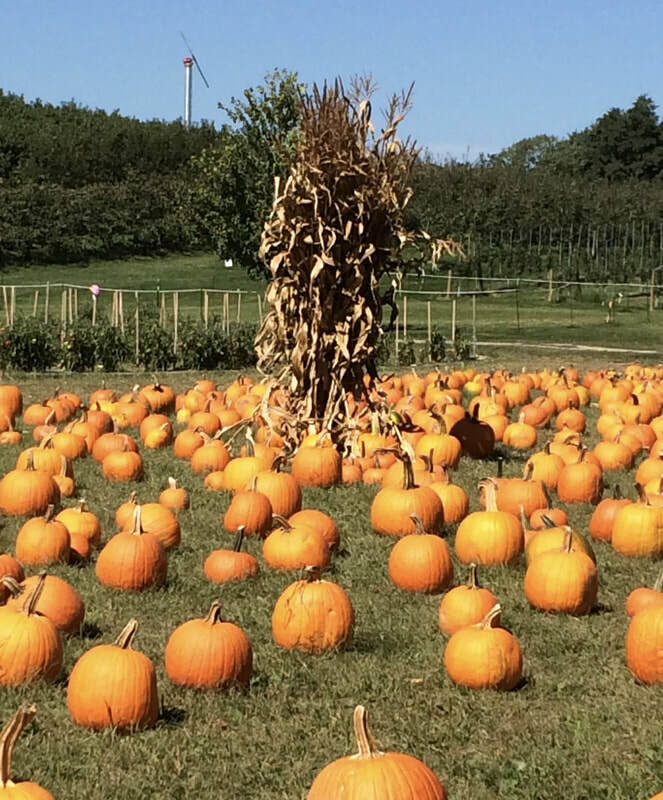 What are your favorite fall picks? Donna Cangelosi and Chana Stiefel are picture book critique partners & friends who are passionate about kids' books & are eager to share tidbits from their writing journey with other aspiring writers.